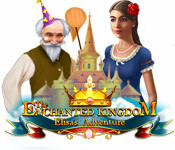 The Enchanted Kingdom: Elisa's Adventure is rated 4.1 out of 5 by 11. Rated 5 out of 5 by sydneymaggie from WHAT FUN!! I've owned and played this game many, many times! 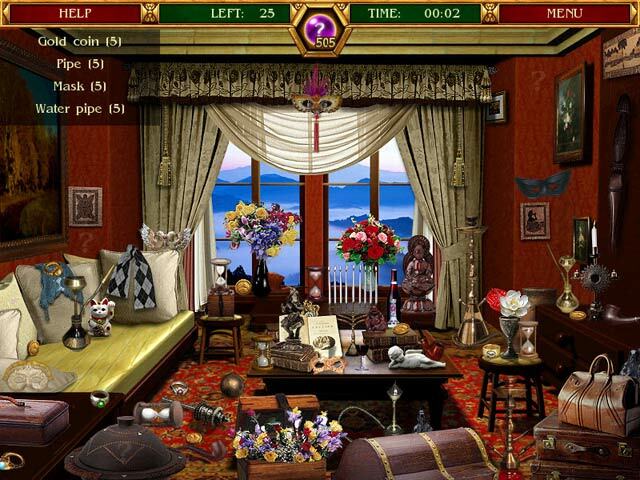 It is part match 3 or more and find hidden objects. I am 64 ys old but this would also be a great game for kids. Try it and buy it! Rated 5 out of 5 by cbilbo from First Match 3 Game I have always stuck to hidden object games and large file games. I was looking for something different, took a chance and picked this game. It was actually a great game. I was obsessed that I had to upgrade every building to the highest possible. I found that the match 3 items were very addictive. The storyline wasn't my cup of tea, but for a first game, I'm not worried about getting into the story. I was just more curious than anything. I will be getting another match 3 game in the near future. Rated 5 out of 5 by lemur998 from Unexpected gem of a game! The video preview of this game didn't wow me. I expected a typical gather the resources with match 3 play and then spend those resources building your town to no real purpose. Was I wrong! You do spend resources building, but the buildings actually help you along and are needed to continue playing. And there are levels to gathering resources. 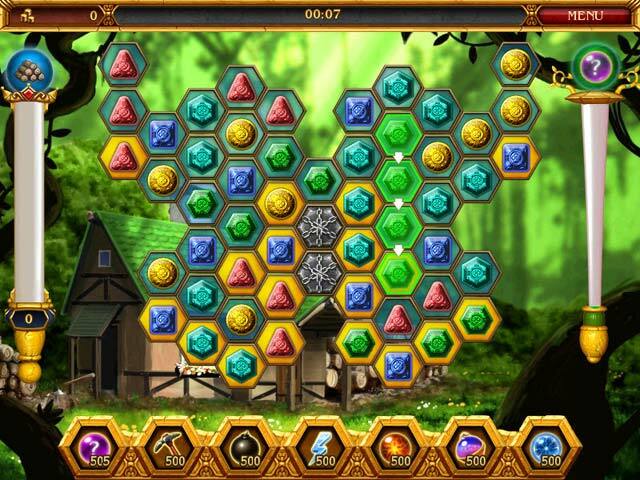 The match 3 games gather basic resources and the buildings convert those into better items. For example, match 3 gets you logs and when you build a sawmill, you can turn them into planks. There is a nice variety to the difficulty level. Different towns have different difficulty levels to the match 3 games. You gather more resources on the harder games, but you can always go back to an easier game and just play more times to get the same amount of resources. And there's no timer (yay!# so you can enjoy the game play at your own pace. There are also plenty of hints if you need a little help. The hints help you find objects in the HO scenes and find matches in the match 3 games if you're stuck. The best thing about this game is the variety! I've played for an hour and have found 2 types of match 3 #swap and chain#, hidden object scenes #which are nice and bright and easy to see#, a put the pieces together puzzle, and a word puzzle. There's obviously resource gathering, converting resources to better resources, and town building. There's a storyline and different objectives as the story progresses. You can also choose to put off progressing the story and gather extra resources to upgrade your town buildings. There's even variety in the games. During the match 3 games, you are trying to match over the resource tiles to gather them, but you are also gathering hints and specials #the ones that help you clear the board) by dropping them to the bottom when they appear. You are also gathering coins that can be matched with any tile and can be spent when you build a shop. The HO scenes include finding hints as well and so far there isn't a limit as to the number of hints you can accumulate. I'm sure I will find even more variety now that I've bought the game! I definitely recommend trying this game! Rated 5 out of 5 by MEnr56 from HOW TO BUILD I was confused as to why I couldn't build the Mage house as I knew that I'd been collecting logs during the Match3 matches. As I pondered this problem, I clicked on the castle at the bottom of the screen and then on the sawmill which had already been built and THAT'S where I could decide on how many logs that I wanted to use to build something. Once I'd decided to use all of the logs, THEN the building of the Mage house became available. As a "bonus" because of the amount of logs that I'd decided to use, I was also able to build the shop. The music is comforting, the Match3 levels are not too taxing, it's NOT timed though there is a clock but only to let you know the length of time it took you to complete each level, and there is dialogue between the peasant girl and the people she meets. The only thing that I find a tad irritating is that once the dialogue appears, it sits there for a longer period than necessary; I do find that if you click on the words themselves that the dialogue boxes seem to disappear faster. Rated 5 out of 5 by Loreleisng from Great fun. Great variety. Love playing this game. Lots of different challenges to be met. Rated 5 out of 5 by Lyndy20 from Appealing Game I was very happy to recently come across this lovely game. Based on the demo, it is a hybrid adventure/city builder with simple and sometimes amusing dialogue. Elisa travels around the map, solving people's problems and rebuilding a city. Resources and inventory items are gathered via M3 (chain and swap) and hidden object levels. There are also mini-games. The game is not overly challenging but there is something very enchanting about it. I will definitely be buying. Rated 5 out of 5 by kathiebee from Enchanting Match 3 This is a lovely game, where a peasant girl, Elisa, is thought to be heir to the throne. On her journey to find proof, she comes across different tasks to complete, one of which is building up a town. M3's alternate between chain and swap. Storyline is good, graphics are clear, bright and colourful, and music is pleasant. Not overly taxing for those who want a real challenge, but for those like me, who enjoy the occasional game to relax with, this is a fun, enjoyable game that I would thoroughly recommend. Rated 4 out of 5 by Billybadass4018 from A decent game. A cute game where you collect resources through match 3 puzzles. Sometimes difficult to break all the locked bricks unless you have accumulated a lot of power-ups which not hard to do. 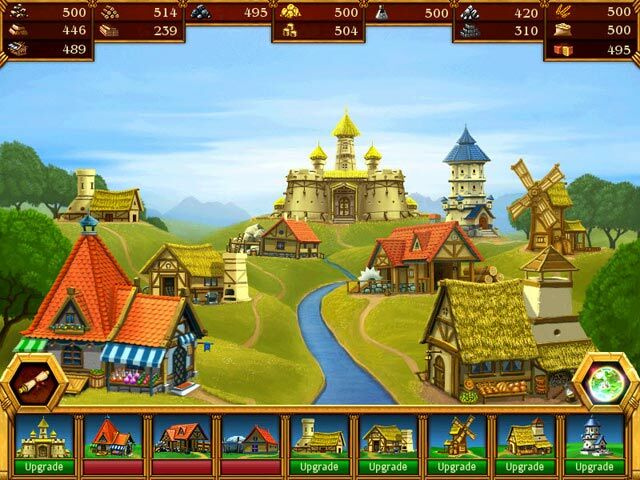 You collect the resources to rebuild a city and prove your worth as the heir of the kingdom. The story is very simple and a little cheesy. The artwork is very simple but clean. I'm not a huge fan of match 3 games but this one was rather fun. Overall it's a very cute game and worth a try. Rated 3 out of 5 by mommato1 from WAS JUST OK THIS GAME WOULD HAVE BEEN BETTER WITH BETTER INSTRUCTIONS ON PURCHASING ITEMS AND HOW TO PLAY THE GAME. YOU PRETTY MUCH HAVE TO FIGURE IT OUT FOR YOURSELF WHICH TOOK AWAY FROM THE FUN ASPECT F THE GAME. Rated 2 out of 5 by Aunt_Mabel from Too muddled, too mixed This game tries to be all things to all people, and in doing created a game which is disjointed. It's like the developers have taken a bit of the most popular current genres out there and shoved it into the game. You get Match 3 (in all it's variations), HOS, building, strategy, resource collection, gathering bonus items, etc. This might have worked had the instructions not been so poor and the moving between the various types of game play more intuitive. I love Match 3 games and usually buy them without the demo. That was the case with this one and unfortunately wished I had played the demo first. As for the Match 3 itself, those were frustrating and never-ending. Playing the same puzzle for 20 minutes or more just to get enough logs to build something if only I can remember where I need to go to find the building I need to build. So much time and energy goes onto making games that I feel mean leaving only 2 stars, but try as I might, the only thing this game did for me was give me a headache! Sorry Felix, not one of BF's best.